Man, Buescher was a massive tease last night if you had him. Game is rough. I will wear it proudly. The 42 team and Larson are the most unenthusiastic team I've ever listened to on the in-car radio. 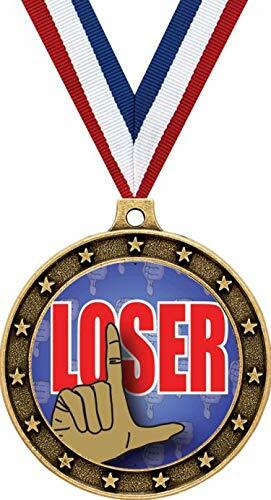 Thanks for nothing Larson, except for my loser medal. Joker, pjmolo, Fordracing7 and 1 other person like this. Getting my B drivers out of the way. Bowyer, Byron, and Bowman absolutely killed me last year and didn't do much better this year. I have no clue where to use Byron and Bowman. No consistency with either of those guys. am going to wait on them,they have to get better,right? Dega where anyone can win, time to use another long shot. Yeah...I see my leading lasting one week.